The present numerical investigation deals with the flow across two square cylinders placed in staggered alignment at fixed Reynolds number (Re) of 160 and varying gap spacings (g*) from 0 to 6. Numerical computations are conducted by employing the two-dimensional single-relaxation-time lattice Boltzmann method (SRT-LBM). 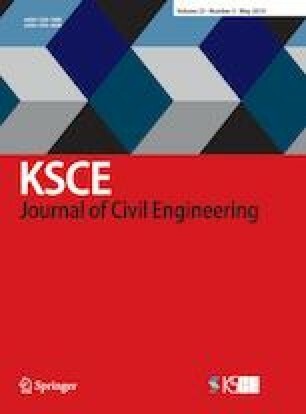 The complex phenomena of vortex shedding are explored for different g* and outcomes are presented as vorticity snapshots, time-history analysis of drag and lift coefficients (CD and CL) and power spectra analysis of CL. Five flow patterns are observed which are named as: single bluff body flow, quasi periodic flow, chaotic flow, in-phase/anti-phase modulated flow and synchronized flow. The fluid forces are irregular for all flow patterns except for synchronized flow where lift is periodic due to synchronization of flow. It is observed that presence of an upstream cylinder in the near vicinity of downstream cylinder increases the drag at small gap spacing and vice versa.